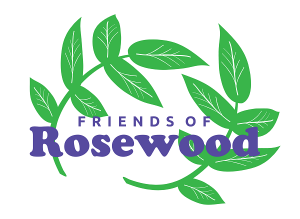 We would like to introduce you to the Friends of Rosewood Free School. This is now a registered charity linked to the school, charity number 1180807. The current trustees are Zoe Evans (Head), Clair Smith (Finance Officer), Louise Reynolds (Lunchtime assistant in Butterflies class and parent) and Doug Brain (Parent). Sarah Clarke (Deputy) is also involved in working with the trustees to raise the profile of Friends of Rosewood. We would love you to be involved too! The organisation has been set up mainly to raise funds for the “nice to haves” at Rosewood, including the Hub and Avenues. This could be resources, equipment, enrichment days or trips. Secondly, it is to raise awareness of the school in the wider community. After discussions with fellow parents and carers it has come to light that many people do not know that the school exists or they think that it is part of Rose Road. We understand that as parents and carers you can feel a bit disconnected from school life as the majority of children receive home to school transport. So, we aim to do fundraising activities in which everyone can be involved if they wish to. We have a new Facebook page Friends of Rosewood which we will keep up to date with any fundraising activities and targets. Also, for those that aren’t aware, we do have a separate families Facebook group, this is where you can ask advice from other parents. This is a closed group so if you would like to be added to this, then please contact the school and let us know. Amazon smile: You can set up a link to your account so that any purchases made will generate a percentage that will then be donated to school. Please do ‘like’ or ‘follow’ our Facebook page and look out for links to this. Kiloware Stamps and Coins: Any used stamps (with no more than 1cm of paper left surrounding the stamp) or any out of circulation, obsolete or foreign currency that you may have lying around, this can all be sent into school and we will receive a cash amount per kilo. Our first fundraising project will be to raise money to help pay for the renewing of the school garden. This work is planned for Summer 2019 and it will cost around £100,000 to re-surface the garden area throughout, install a new accessible swing and roundabout, and build new covered areas outside the classrooms enabling learners to use the outdoor space easily in all weather conditions. The school already has some funding in place but we need to raise more so your help is needed! If you work for a company that sponsors a charity or know someone else who does, then please nominate us for consideration. If you work for or know someone that works for a business or company that may be able to donate any goods or services that could be used for a raffle or auction prizes, then please get in contact. If you or anyone you know is of the sporting persuasion and is doing an event that they could be sponsored for, then please consider us, we can produce a sponsorship form if required. If you would like to be involved in planning fundraising or volunteering for any events that may be coming up then please get in touch. We are open to any further thoughts or suggestions regarding fundraising or projects that we could look into funding. We have a dedicated email address mail so please get in touch and let us have your ideas.